Tom Eaton joined the Georgia Law faculty in 1979 and was named a J. Alton Hosch Professor in 1993. He teaches in the areas of torts, constitutional litigation, health care regulation and workers' compensation. His recent scholarship includes: “Rule 68 Offers of Judgment: The Practice and Opinion of Experienced Civil Rights and Employment Discrimination Attorneys” in Federal Rules Decisions (2007) (with Harold S. Lewis Jr.), “Of Frivolous Litigation and Runaway Juries: A View From the Bench” in the Georgia Law Review (2007) and “Of Offers Not (Frequently) Made and (Rarely) Accepted: The Mystery of Federal Rule 68” in the Mercer Law Review (2006) (with Harold S. Lewis Jr.). Recently the U.S. Supreme Court in Exxon Shipping Co. v. Baker, 128 S. Ct. 2605 (2008), cited Eaton's article “The Effects of Seeking Punitive Damages on the Processing of Tort Claims.” In 2009, the Southeastern Association for Law Schools awarded Eaton its Call for Papers Award for his article “The Contours of a New FRCP, Rule 68.1: A Proposed Two-Way Offer of Settlement Provision for Federal Fee-Shifting Cases” (with H. Lewis). Eaton has testified before state and federal legislative committees on a variety of subjects, including products liability, medical consent, patients' rights and tort reform. 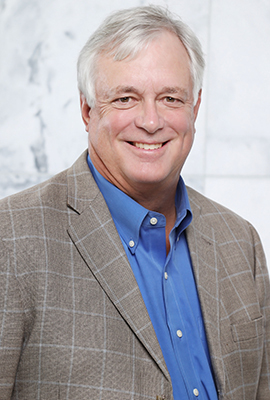 He has served as chair of the Georgia Governor's Workers' Compensation Review Commission. In addition, he served on a state bar committee that issued a report that lead to the enactment of legislation designed to improve the collection of data pertaining to civil and criminal proceedings in Georgia courts. Eaton has also chaired the Association of American Law Schools Section on Civil Rights. Presently, he is a master in the Joseph Henry Lumpkin American Inn of Court and a member of the State Bar of Texas. In the spring of 2003, Eaton became the first law professor to be presented with a UGA Creative Research Medal. This honor was awarded for his systematic and in-depth study of tort litigation with fellow UGA professor Susette Talarico. That same year, he was also presented with the Student Bar Association Faculty Book Award for Excellence in Teaching. In 2004, he was selected by the graduating class to be an honorary class marshal at commencement. Eaton works actively with the law school's mock trial program and also shares his expertise with local high school students. In 2000, he was named Outstanding Attorney-Coach by the state bar's high school mock trial committee in recognition of his five years of service with the award-winning Clarke Central High School Mock Trial Team. Eaton earned his bachelor's and law degrees from the University of Texas. He served as a judicial clerk to Judge Robert R. Merhige Jr. of the U.S. District Court for the Eastern District of Virginia following graduation and then was an associate with the law firm Graves, Dougherty, Hearon, Moody & Garwood in Austin, Texas, before joining the UGA faculty. Attorney’s Fees, Nominal Damages, and Section 1983 Litigation, 24 Wm. & Mary Bill Rts. J. 89 (2016) (with M. Wells). Who Owes How Much? Developments in Apportionment and Joint and Several Liability Under O.C.G.A. § 51-12-33, 64 Mercer L. Rev. 15 (2012). The Contours of a New FRCP, Rule 68.1: A Proposed Two-Way Offer of Settlement Provision for Federal Fee-Shifting Cases 252 F.R.D. 551 (2008) (with Harold S. Lewis). Rule 68 Offers of Judgment: The Practices and Opinions of Experienced Civil Rights and Employment Discrimination Attorneys, 241 F.R.D. 332 (2007) (with Harold S. Lewis). Of Frivolous Litigation and Runaway Juries: A View from the Bench, 41 Ga. L. Rev. 431 (2007). Of Offers Not (Frequently) Made and (Rarely) Accepted: The Mystery of Federal Rule 68, 57 Mercer L. Rev. 723 (2006) (with Harold S. Lewis). The Effects of Seeking Punitive Damages on the Processing of Tort Claims, 34 J. Legal Stud. 343 (2005) (with David Mustard and Susette Talarico). Foreword: Scholarship and Service and Report of the Governor's Workers' Compensation Review Commission, 38 Ga. L. Rev. 1241 (2004) (with David B. Mustard). Forward: Re-Examining First Principles: Deterrence and Corrective Justice in Constitutional Torts, 35 Ga. L. Rev. 837 (2001). Another Brick in the Wall: An Empirical Look at Georgia Tort Litigation in the 1990s, 34 Ga. L. Rev. 1049 (2000) (with Susette M. Talarico and Richard E. Dunn). Revisiting the Intersection of Workers' Compensation and Product Liability: An Assessment of a Proposed Federal Solution to an Old Problem, 64 Tenn. L. Rev. 881 (1997). The Limits of Advance Directives: A History and Assessment of the Patient Self-Determination Act, 32 Wake Forest L. Rev. 249 (1997) (with Edward J. Larson). Implementation and Impact of the Patient Self-Determination Act: A Comparison of Nursing Homes to Hospitals, 16 J. Applied Gerontology 190 (1997) (with Melissa Zwahr, Denise Park, and Edward J. Larson). Introduction: Adapting Old Rules to New Paradigms, 31 Ga. L. Rev. 367 (1997). A Profile of Tort Litigation in Georgia and Reflections on Tort Reform, 30 Ga. L. Rev. 627 (1996) (with Susette M. Talarico). Testing Two Assumptions About Federalism and Tort Reform, Yale L. & Pol'y Rev./Yale J. on Reg., 1996 Symposium Issue at 371 (with Susette M. Talarico). Implementation and Impact of the Patient Self-Determination Act, 87 So. Med. J. 971 (October 1994) (with Denise Park, Edward Larson, and Helen Palmer). Experimenting With the 'Right to Die' in the Laboratory of the States, 25 Ga. L. Rev. 1253 (1991) (with Edward J. Larson). Governmental Inaction as a Constitutional Tort: DeShaney and Its Aftermath, 66 Wash. L. Rev. 107 (1991) (with Michael Wells). Contract Consistent with Public Policy, 119 N.J. L.J. 24 (Feb. 26, 1987). Comparative Responses to Surrogate Motherhood, 65 Neb. L. Rev. 686 (1986). The British Response to Surrogate Motherhood: An American Critique, 19 L. Tchr. 163 (1985). Substantive Due Process and the Scope of Constitutional Torts, 18 Ga. L. Rev. 201 (1984) (with Michael Wells). Affirmative Duty and Constitutional Tort, 16 U. Mich. J.L. Ref. 1 (1983) (with Michael Wells). Res Ipsa Loquitur and Medical Malpractice in Georgia: A Reassessment, 17 Ga. L. Rev. 33 (1982). Causation in Constitutional Torts, 67 Iowa L. Rev. 443 (1982). Why Constitutional Torts Deserve a Book of Their Own, 22 Seattle U. L. Rev. 857 (1999) (with Michael L. Wells and Shedon H. Nahmod). International Encyclopedia of Comparative Law: Torts; Vol. 11, 14 Ga. J. Int'l & Comp. L. 433 (1984). Constitutional Torts, 3rd ed. (LexisNexis 2010) (with Sheldon H. Nahmod and Michael L. Wells). Cases and Materials on Workers' Compensation, 6th ed. (Thomson/West 2009) (with Joseph W. Little and Gary R. Smith). Constitutional Torts, 2nd ed. (LexisNexis 2004) (with Sheldon H. Nahmod and Michael L. Wells) (2006 update). Cases and Materials on Workers' Compensation, 5th ed. (Thomson/West 2004) (with Joseph W. Little and Gary R. Smith). Constitutional Remedies: A Reference Guide to the United States Constitution. (Praeger Press 2002) (with Michael Wells). Cases and Materials on Workers' Compensation, 4th ed. (West Pub. Co., 1999) (with Joseph W. Little and Gary R. Smith). Constitutional Torts. (Anderson Pub. Co., 1995 and 1999 Supplement) (with Sheldon H. Nahmod and Michael L. Wells). Cases and Materials on Workers' Compensation, 3rd ed. (West Pub. Co., 1993) (with Joseph W. Little and Gary R. Smith). Tort Litigation in Selected Georgia Counties, 1990-1993: A Preliminary Report to the Georgia Civil Justice Foundation, (October 24, 1995) (with Susette M. Talarico). Biomedical Technology and the Law: Strategies for Regulating Risk (1985) (prepared for the Kellogg Foundation). Testimony before the Georgia Senate Study Committee on Civil Justice Reform (1996). Testimony on H.R. 10 to Reform the Federal Civil Justice System; to Reform Product Liability Law. 104th Cong., 1st Sess. 76 (1995). Testimony before the Georgia Senate Special Judiciary Committee (1987).